I adore the notion of hopping on a plane with the love of your life and flying half way around the world to the City of Love to profess your undying love to your significant other in front of the Eiffel Tower. Doesn’t it sound like the making of a dreamy, romantic chick flick? For Katie and Phanath this was not a movie, but real life just a few short weeks ago when they arrived for their intimate Paris elopement. We were honored to document their intimate Paris wedding on an early summer morning at Trocadero. 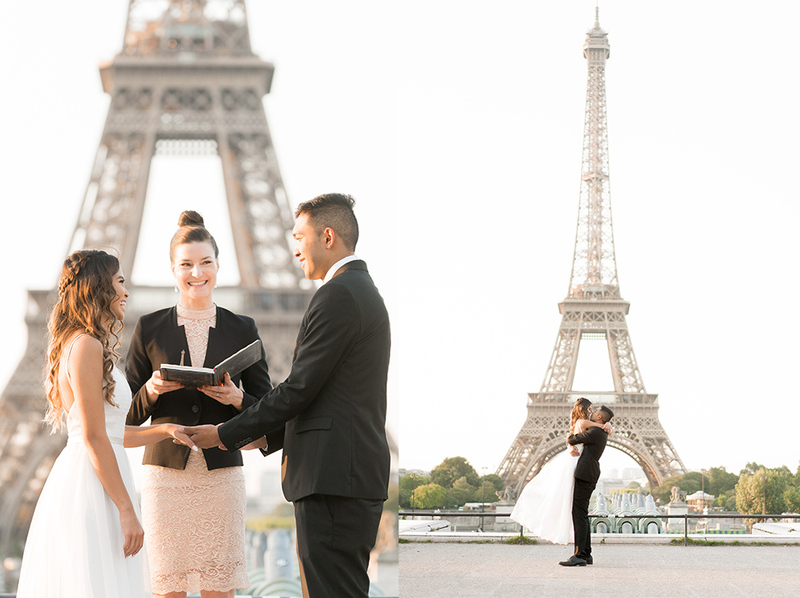 The Paris Officiant, Laura Montario, presided over their ceremony. Her beautiful accent adds the perfect touch of French allure to make it completely authentic! With the exception of Laura, Doug and myself, they pretty much had Paris to themselves for the morning. After their vows were complete and the rings exchanged, Laura stepped to the side as she pronounced the pair husband and wife. Without any guidance, Phanath literally swept his bride off her feet as he left her feet dangling as he scooped her into his arms for a big celebratory bear hug and kiss! The cutest!! Enjoy some of their images below. 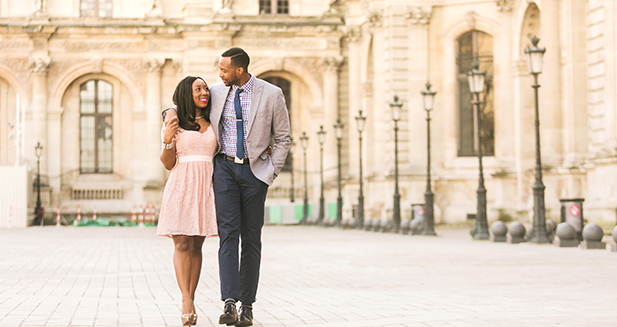 If you are looking to renew your vows, or do a post-wedding session in Paris, we can help!